A special education teacher has developed worksheets to help all students identify and manage their stressors. In the last few years, I’ve noticed an increase in stress, anxiety, and depression in high school students. The causes range from intense pressure to perform academically to social media expectations and influence to home and environmental issues. The common thread, no matter the cause, is students’ inability to cope with the stressors they experience. As an educator, my goal is to help students build the resilience and self-awareness they need to be successful in life. After years of working with students with emotional disturbance, I’ve developed self-awareness and coping skills activities that help all students identify feelings and stressors, while also providing them a way to discover positive, self-regulatory coping skills. Step 1: Teach students to identify their stressors. It’s important that students learn to identify how they feel and why they feel that way. I have each student identify the things that make them stressed, upset, and sad using a worksheet I’ve developed. Afterward, students verbally share stressors with each other to start building a community of trust where they feel safe and heard. I often share my own stressors with students to set the tone of the activity as one that is inclusive and judgment free. Step 2: Identify what students normally do when presented with stressors. During this step, I tell students to write down their instinctive and initial reaction to each stressor without stopping to think about whether it’s good or bad, or breaks some sort of school or societal rule. Once again, I have a worksheet for them to use. Total honesty is needed during this step in order for each student to start developing self-awareness. Again, I share my instinctive reaction to a stressor as an example. Students then use a third worksheet to rate their reactions on a Likert scale, where 1 = Worst Reaction and 5 = Best Reaction. I define and discuss each Likert point with my students so they have a clear picture of how to rate their reactions. Each student shares one of their Likert ratings with peers, along with an explanation for their rating. Using the Likert scale teaches students to objectively look at and evaluate their actions. Step 3: Brainstorm alternative ways to respond to stressors. During this step, I introduce the idea of coping skills—conscious efforts to minimize stress or conflict in a positive and constructive way. Once students identify their feelings and stressors, it’s important that they learn how to channel their emotions. I once worked with a student with emotional disturbance who had a tendency to run out of the class and hide on school grounds whenever she was mad or frustrated. We developed a coping skill protocol where she had to tell me how she felt (“I’m really mad because...”), and then she had to ask me if she could step outside the classroom for five minutes to collect herself. By the end of year, she didn’t need to step outside because the habitual practice of identifying her feelings and utilizing a constructive coping strategy allowed her to better regulate her emotional reactions. 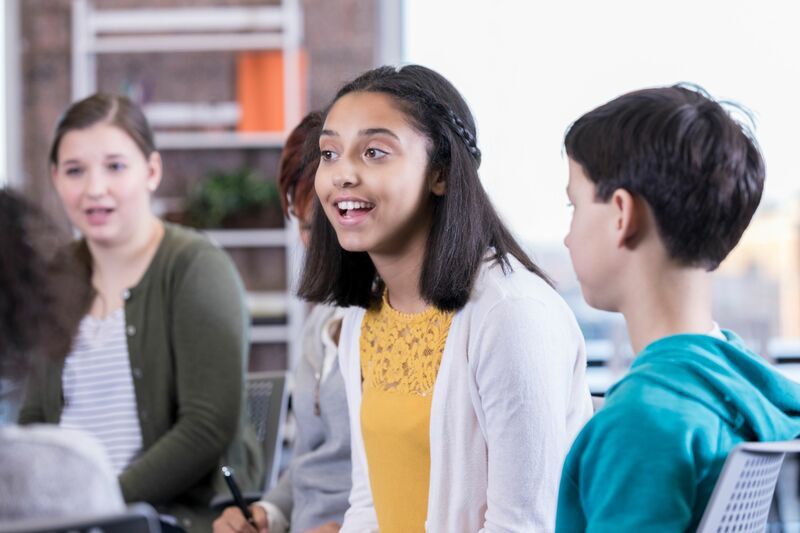 It’s important to make sure every student understands what coping skills are, as well as the idea that strategies are unique and individualized. Students then compile a list of five coping strategies that could work for them, and I have the class make a coping skills poster that I put on the wall. Having a huge list of various coping strategies is a great visual reminder of positive reactions to stressors and gives students ideas they might not have thought of on their own. Students next revisit their original reaction to a stressor and use the final worksheet to replace it with a more positive coping skill. This step is very powerful because it shows students how to take charge of their reactions instead of being controlled by situations and their emotions. They’re empowered to take responsibility for their actions and practice self-regulation skills instead of blaming outside factors. Students discuss why this new way of coping is more beneficial than their old response and how it could change the outcome of a situation. Step 4: Practical application and maintenance of coping skills. I build time into each class period for an exercise I call the 5 Minute Fix. For five minutes, students can share how they’ve used their coping skills in real-life situations. They can ask for feedback and advice from peers or provide suggestions to those who are struggling. Most importantly, the community is strengthened by these daily check-ins. Allocating five minutes doesn’t interfere with my academic lessons, and the benefit to students is significant and impactful. I’ll also check in with students informally and keep an eye on those I think need more support. The most important idea I convey during this maintenance period is that coping skills are fluid and flexible. If one skill doesn’t work or a student wants to try something new, I always encourage them to do so. It’s important they don’t get caught up in thinking they can only use certain skills since that can become a new source of stress. Coping skills are a powerful way for all students to build resilience, self-awareness, and self-regulatory skills as they face the stressors of life. Learning how to positively cope empowers them to be self-reflective and take responsibility for their actions. Most importantly, these skills are ones that will benefit them long after they leave my classroom.